On behalf of the entire neighborhood, a very special thank you to Deahna Visscher who organized the TrailMark Christmas Night with Santa event last night (Dec 13th). Deahna recognized a need after the Chatfield Botanic Gardens changed their holiday offerings and TrailMark would no longer have the annual Night of Lights event. She worked tirelessly to orchestrate a visit from Santa, arranged horse-drawn wagon rides through the neighborhood, and provided hot chocolate and apple cider with holiday cookies. In the spirit of the season, neighbors provided warming fire pits, holiday blow-ups, and help with all the goodies. It was a spectacular success!! To Deahna, the volunteers who pitched in to make the event a success, and the many families who participated in the activities, a heartfelt thank you! Wednesday, December 13th, 5:00-8:30 pm at TrailMark Park - Come join us for an evening with Santa, horse drawn wagon ride, hot cocoa or apple cider, and cookies. Carriage rides from 5:00pm-8:00pm. The horse drawn wagon seats 18-20 people and the line will start at the bridge on S. Field Way. The route is S. Field Way to S. Flower Ct. to W. Freiburg Pl. back to the bridge on S. Field Way. Remember to bring blankets to keep warm during the ride and bring your best carols to sing. Santa will be there from 5:00pm-8:30pm, available at the playground pavilion for pictures and Christmas wish lists. Supplies needed on loan for the night: a 10x10 tent, portable space heaters, portable campfire pits, and any blow up Christmas decorations. Volunteers needed to help set up and take down 10x10 tents, monitor cookies, keep the drinks flowing, stoke the fire pits, and clean up. Please contact the social committee at social@trailmarkhoa.org and Deahna_Visscher@yahoo.com. The HOA Board would like extend a HUGE thank you to Rick Handley and Randy Pabst from the Common Area Committee for working tirelessly to get the damaged electrical lines at the front entrance fixed so that we could enjoy our holiday lights. Upon flipping the switch for the lights this season, we learned that there was a significant electrical problem. Rick and Randy worked with the City of Littleton and an electrician to get the lights working. On Friday, December 8th, they flipped the switch again and success!! We think the front entrance looks wonderful and are so thankful to both Rick and Randy for making it happen. THANK YOU FROM THE ENTIRE COMMUNITY!!! HAPPY HOLIDAYS!! The 2018 Budget was approved at the Ratification meeting held November 9, 2017. This budget reflects the hard work of the Finance Committee and the Board to ensure the HOA operates at its best. This budget also reflects an increase in dues starting January 1, 2018. The dues are currently $96 per quarter. Starting January 1, 2018 the dues will be $110 per quarter. New coupon books will be mailed to anyone not participating in ACH (automatic withdrawal) in early December. This is the first dues increase the neighborhood has experienced and the increase was given great consideration. A copy of the approved budget can be found online or by contacting the Property Manager. TrailMark will be recognizing its beautiful holiday displays again with another Holiday Lights Contest! Post a picture of your outdoor holiday light display at night on the HOA Facebook page (or post a neighbor's house on their behalf!). Or, submit an image for posting to the Facebook page by sending it to communications@trailmarkhoa.org. The deadline to submit an entry is the end of the day on December 15th. The houses with the most likes by the end of the day on December 20th wins! First place prize is a $100 gift card, second place is $50, and third place is $25. Happy Holidays! During the November 9 Annual Meeting, election of new board members was on the agenda with the intent of electing two new board members to replace Sandy Farish and Julie Devin who have completed their 2 year terms of office. However, there were no nominations from the floor or self-nominations from the community. Until new volunteers are identified, the HOA Board will operate with only three members. Being an HOA Board member is a great way to learn more about the operation of our community, and provides one with an opportunity to impact those operations. If you are interested or know someone who is interested in serving on the HOA Board, please contact our management company to discuss the responsibilities and expectations of board members. Contact Angie Kelly, Community Manager, at akelly@crsofcolorado.com. [Self-nomination application]. On behalf of the HOA board and the entire community, we’d like to thank both Sandy and Julie for their service to TrailMark over the last years. They are the kind of neighbors we depend on to keep TrailMark a vibrant, efficiently run and engaged community. Their contributions are greatly appreciated. THANK YOU SANDY AND JULIE!!!!! The Christmas Lights are up and look better than ever. We hired a new company this year, and for a little less money as well. We have had challenges getting the electricity to work on the North side and on the Island by Fairview Reservoir. Hopefully these will be resolved soon. For many years before the trees got too tall, our committee hung the lights on the trees as well as doing the garland and wreaths, but they got too tall for us to safely accomplish this. We hope you enjoy them into early January. We still hang the garland and the wreaths. The CAC will begin a beautification of the entry way this spring given the weather conditions. Yet this year, we are planting four trees to replace those that have died. We will also be treating all the ash trees against the ash borers in the early spring. It would be a shame to lose the 36 ash trees that we have. We will also be working with SSPRD to place two benches at the top of Sled Hill to the north of Hogback Hill park. Not only will they be great to have during sledding this winter, but they also provide great vistas to the north toward Botanic Gardens. One of the benches will be to honor one of our CAC members, Lesa Rangel, who passed away last month. (The star in front of the Christmas lights on the island by the fire station is also in her memory, as she decorated with the CAC for 13 years.) We are also working with SSPRD to provide additional trails to the benches from the parking lot, and a connector to the trails just to the East of Hogback Hill Park. This will be a phased project. As reported during the November Annual Meeting, it has been noted during the community compliance inspections that many homes are in need of total or partial painting. To assist homeowners with planning for this project, you are reminded that paint sample books showing all pre-approved color combinations are available for your review. Contact our Community Manager at designreview@trailmarkhoa.org who will make arrangements to get the books. Paint Books: The paint books contain paint chips showing the original paint color schemes (KWAL brand) for the houses in TrailMark. 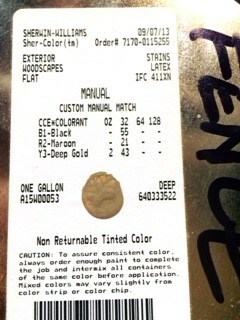 KWAL was bought out by Sherwin Williams, so you can take the paint samples to Sherwin Williams (or any other paint company) to get the desired colors scanned to arrive at the correct color formula. Regardless of the series your home is (600, 500, 400), you may select any of the forty-one color combinations in these books. The home must be painted exactly as indicated in the combination as to where a specific color is to be applied. To change the placement of a specific color requires identifying exactly what color goes where. If a homeowner chooses a color combination from the TrailMark sample books and must get the paint chips scanned, paint chips are not required to accompany your paint request because the resulting paint color is not a standard paint color therefore paint chips are not available. However, on your request you must state that you are getting your selected colors scanned to arrive at the exact color as in the paint sample book. Sherwin Williams Account: The HOA Board established a TrailMark Sherwin Williams account that will allow TrailMark residents to receive a discount on Sherwin Williams paint and stain products. This is a cash account so you may either pay for the paint or have your contractor do so. Generally, this account provides a 15% discount, depending on the product(s) being purchased. Identify yourself as a TrailMark resident and provide the following account number: 230805194. If for some reason the Sherwin Williams store you are using does not register this account number, they should call 303-932-1352 to confirm the account. Something Different? If you wish to change from an approved color combination (those in the books), you must submit the proposed paint color name, paint “chips”/samples and the proposed location for each color (siding, trim, shutters, front door, garage door, etc. ), for the DRC’s consideration. Because of color discrepancies between actual paint chips and copies (Xerox) of paint chips, copies are not acceptable when submitting your request to the DRC. Please be aware that generally, TrailMark’s paint scheme is brown, earth tones. To allow individuality, complimentary accent colors for front doors, shutters, porch railings, etc. are considered. Take a look around the community to see if you see something you like. Lastly, per Article 4 of our Declaration of Covenants, Conditions and Restrictions for TrailMark, approval is required for any property improvement. So, yes, even if you are painting your house the existing colors, you are required to submit a Home Improvement Request Form to the DRC prior to initiation of painting. Assessment Information - Assessments are paid quarterly at $110.00 per quarter. Assessments can be paid by automatic withdrawal (ACH), online through the TrailMark website, or by check. Assessments include trash/recycle service, social events hosted by the HOA, common area landscape maintenance and common area snow removal. (303) 744-9881. Trash and recycling are picked up every Tuesday. This service is included in your assessment charges. Be sure to check the website for trash information, delays, and to contact the company. Landscaping - Mountain High Lawn and Landscape is responsible for landscaping and snow removal. It’s important to remember that in the TrailMark community temporary holiday lighting and decorations do not require approval. However, holiday lights are intended to be temporary and should only be displayed during the holiday season. Lighting must be removed and properly stored in a timely manner following the conclusion of the holiday, but in no case later than thirty (30) days following the expiration of the holiday. Thank you for your cooperation. Elections for the Board of Directors for the TrailMark Homeowners Associations are upon us again. This year, two positions are open and candidates are needed! The HOA is looking for volunteers to join the Board! The elections will be held on November 9, 2017 at the HOA Annual Meeting. If you are interested in running for the Board of Directors, please complete a self-nomination form by Monday, October 9th. The self-nomination form can be found on the TrailMark website: www.trailmark.org. Submissions should be sent to the Property Manager (akelly@crsofcolorado.com) for inclusion in the Annual Meeting packet, which will be mailed October 10th. Please contact Angie Kelly, Property Manager, if you have any questions. Editor's Note: There are still two positions available on the HOA Board. Please contact Property Manager Angie Kelly if you are interested in a position on the board. ​Thursday, November 9th, Fire Station 19, 8490 W TrailMark Pkwy. 6:30 pm Check-in begins, 7:00 pm TMMD Special Meeting & Budget Hearing, HOA Annual Board Meeting. All are welcome. Two new draft policies are up for review: TrailMark Committee Policy (draft), TrailMark Communications Policy (draft). The Board of Directors is working hard to ensure the operations of the HOA are as efficient as possible. The proposed polices will affect the operation of the Board and the HOA Committees. However, the Board wants to ensure the community has time to review these policies before formal action is taken. Please contact the management company (CRS) with any questions. As weather moves into the area and winds pick up, please remember your neighbors. Simple items become forces of nature when the winds whip through the area and we want to ensure everyone is safe! Yes, we know – TrailMark streets are unsightly with the recent community-wide application of toilet paper on our streets. What a mess! However, there is method to the madness the City of Littleton brought to us. Here’s the explanation: “Crack Sealing is a very important preventative maintenance technique routinely used on asphalt streets to prolong the life of the pavement. Sealing cracks in our pavements helps to prevent water intrusion into the roadway base which is a primary cause of pavement failure.” A street crack will fill with water which can then freeze and expand to produce potholes and/or wider cracks. To prevent this condition, the City will close a street section and will seal the cracks with tar. The tar takes about 40 minutes to dry enough so it doesn’t splatter and stick to passing traffic tires and shoes. The 40 minutes is down time for workers, as they wait for the sealant to cool and dry before moving to the next stretch of street where the process is repeated. It’s time consuming thus slowing the process of repairing streets city-wide. Enter the toilet paper (TP) technique. The use of toilet paper isn’t a new technique, but cities generally resist it – largely out of fear of getting complaints about its appearance. However, the City gets many more streets repaired using the technique. Applied with a paint roller, the single-ply toilet tissue absorbs the oil from freshly laid tar as the tar dries, keeping it from sticking to tires and shoes. The biodegradable paper breaks down and disappears in a matter of days, with traffic and rain and/or snow. Thus, the process allows repair crews to cover many more miles of road in a shorter period of time, is cost effective, and greatly minimizes the potential for tar splatter on cars, people, bikes, and tires. So, TrailMark – let’s give this new technique a chance and see how it goes. Yes, it isn’t attractive and it has created litter, but it reportedly extends the life of our streets, and helps prevent unsightly potholes. The City is tentatively planning to undertake additional pavement preservation work in TrailMark next summer with either a slurry seal or chip seal application. The HOA will work with the City on future street applications, and will keep you informed. More information will be provided as we receive it. Please remember that the Annual TMMD and HOA Board meetings of the Members will be held on November 9, 2017. The meeting will be held at the Fire Station. Meeting check-in starts at 6:30pm, followed by the TMMD meeting at 7:00 pm and the HOA Board Meeting at 7:30 pm. The Board will have two (2) vacancies and we are looking for people to run for the open Board positions. Please contact the Property Manager if you are interested. Also, we need proxies! Proxies were mailed out mid-October (click here for proxy). ​Make sure you send your proxies in if you are unable to attend the meeting. LOCAL ELECTIONS HAVE LOCAL CONSEQUENCES. YOUR VOTE CAN AFFECT TRAILMARK! PLEASE, STUDY THE CANDIDATES AND THE ISSUES. VOTE NOVEMBER 7TH OR SUBMIT VIA MAIL. MAIL-IN BALLOTS SHOULD BE MAILED NOT LATER THAN WEDNESDAY, NOVEMBER 1ST TO ENSURE THEY ARE RECEIVED AND COUNTED. THANKS!!! ​The next Garbage & Recycling pick-up day is Tuesday, October 10th. ​No delays due to the Columbus Day holiday. ​Saturday, October 7th, 9:00-11:00 am, TrailMark Park Playground. Meet your Littleton City Council candidates! The following draft policies are up for review. TrailMark Committee Policy (draft), TrailMark Communications Policy (draft). Please contact the management company (CRS) with any questions regarding the policies. ​During the Winter Holidays the Denver Botanic Gardens Chatfield Farms will only be open Fridays-Sundays and they are turning the gardens into Santa's Village. There is no option to have a private TrailMark event as the barn is now Santa's workshop with vendors, reindeer, Mr. and Mrs. Claus, elves, etc. Please note they are willing to offer everyone in TrailMark member pricing of $15 per person for the first weekend of the event as it is usually $20 per person. Look to the November newsletter for exact dates of the discounted weekend. There is still discussion taking place about the HOA policy and RV parking. The HOA wanted to clarify the status and the actions to be taken moving forward. The policy from January 1, 2012 regarding Recreation Vehicle Parking has been removed from the website and rescinded by a vote of the Board of Directors. The policy was in conflict with the Community Declarations and therefore, not enforceable. RV parking regulations will be left to the City of Littleton to manage and govern. Therefore, if you have a concern or would like to report an RV parking issue, please contact the Littleton Police Department non-emergency number at 303-794-1551 to report such vehicles. ​It is important to remember that your lawn needs care in the fall and winter months as well as the spring and summer months. To give your lawn the best head start in the spring and looking healthy in the summer please see the monthly tips provided by the Colorado Arborists and Lawn Care Professional of Colorado. ​Just as vegetable gardens can attract wild animals, so can pumpkins on your patio this time of year. The pumpkins can also possibly attract a bear. Please be aware, and a possible suggestion if you are concerned is to use artificial pumpkins or jack-o-lanterns for decoration. ​The Board of Directors is working hard to ensure the operations of the HOA are as efficient as possible. Two new policies have been drafted in relation to this: a communications policy and a committee policy. Drafts of each policy will be on the website for review and questions. Please contact the property manager should you have any questions regarding the policy. The proposed polices will affect the operation of the Board and the HOA Committees. However, the Board wants to ensure the community has time to review these policies before formal action is taken. ​As a reminder, HOA Assessments are due October 1st. 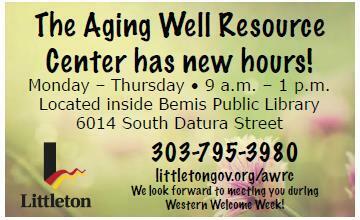 If you have any questions, please contact Angie Kelly at Community Resource Services, 303-381-4980. ​Tuesday, September 26th, 5:30-8:30pm, Denver Botanic Gardens Chatfield Farms. Cost is $3.50 per person. Kettle corn, hay rides, barrel rides and face painting are included! Food trucks will be available for food purchase. This year the Household Hazardous Waste Roundup will be on Saturdays, September 9 and 16. There is a $20 co-pay for anyone who wants to get rid of hazardous waste including motor oil, gasoline, antifreeze, oil-based paint, fertilizer, pesticides, herbicides, batteries and CFL light bulbs. There will also be an electronics recycler to accept any electronics. Details about electronics recycling will be posted on littletongov.org closer to the event. Latex paint will not be accepted at the Household Hazardous Waste Roundup because it can be dried out and disposed of in a regular trash can. The event will be at the Englewood Service Center located at 2800 South Platte River Drive from 8 a.m. to 2 p.m. For more information call 303-795-3834. Thursday, September 7, 5:30-8:00 pm at TrailMark Park - Our coordinator just snuck one more in! A variety of savory and sweet food trucks will be joining our community for purchase. Truck selections will vary. Please bring a picnic blanket or chairs, and your appetite! ​TrailMark's garbage & recycling pick-up will be delayed from Tuesday, September 5th to Wednesday, September 6th due to the Independence Day holiday. We welcome our newest member to the HOA board! Amy Howard will be our Member at Large. Amy and her husband Philo have lived in TrailMark for 17 years. They built their first home in TrailMark in 2000 and then moved to their current home in 2007. They obviously love TrailMark! Along with being a wife and mom, Amy enjoys hiking, biking, skiing and running the trails here in TrailMark. TrailMark is a beautiful community and we want to keep it that way. We rely on homeowners and residents to keep a watchful eye for issues that need might need attention. Many are the responsibility of the City of Littleton. The City has a non-emergency reporting mechanism available called Click & Fix Littleton. •If it is an emergency, call 9-1-1. •For police issues, use the Police Comments Form. •For street light outages, use Xcel Energy's Outdoor Lighting Outage Report •For technical support with Click & Fix (web or mobile), email contact@seeclickfix.com directly. Report non-emergency issues or concerns with Click & Fix Littleton 24 hours a day, 7 days a week. Submit issues such as potholes, icy or damaged sidewalk, graffiti, missing or damaged street signs, abandoned vehicles, weeds or trash, and other code violation concerns. •City staff will respond to the reports Monday through Friday during business hours. •Issues reported outside the city limits will generate a warning that the location is not within the city's boundary. For more information, forms and/or guidance go to https://www.littletongov.org/city-services/click-fix-littleton. We appreciate your willingness to assist with keeping TrailMark a beautiful and safe neighborhood!! We are mid-season for recreational vehicles and it seems apparent that not everyone is aware of the rules and restrictions. Covenant Enforcement receives many calls regarding the parking of recreational vehicles which includes but is not limited to motorhomes, campers, boats, ATVs - and yes, utility trailers open or enclosed. As you know, TrailMark is a common interest community and does have its own restrictive covenants established to maintain the appearance, safety and integrity of the neighborhood. While Coloradoans love their outdoor life and their toys, we would like to remind everyone that those toys should not be a nuisance or safety hazard to others. Parking in the community is not plentiful and the streets are not overly wide. It may be convenient to park a recreational vehicle in the street but it really does impact everyone else. Streets become cluttered, cords are stretched across sidewalks, parking becomes limited, views become obstructed and most importantly, visibility for motorists and others becomes limited causing serious safety concerns. Please be considerate and respectful of others and park your RV in your driveway for provisioning. These types of vehicles including utility trailers are permitted in your driveway, but for the limited time of 48 hours in a one-month period. If parked in the street, the Littleton Police Department will be notified and they do have the authority to tag those RVs or trailers in the street, require their removal after 48 hours, and if the vehicle is not removed within the 48-hour timeframe they have the authority to ticket and/or tow the vehicle. Because of the large number of complaints and continued violations within the community, the Littleton Code Enforcement and or LPD will be patrolling and looking for parking violations. If you notice an RV or trailer parked in the street for a time period exceeding 48 hours in a one-month period, please call the City of Littleton Code Enforcement at 303-795-3831 or the Littleton PD non-emergency number at 303-794-1551 to report such vehicles. If you notice an RV parked on private property for a time exceeding 48 hours in a one-month period, please call TrailMark Covenant Enforcement at 303-422-4473 or email at ccompliance@comcast.net. ​Lilac/Ash Borer - The lilac/ash borer is a common wood borer associated with ash throughout Colorado and a species that is native to North America. Damage is caused by the larvae which tunnel into the trunks and lower branches of ash trees. These feeding injuries produce irregular gouging wounds under the bark and tunneling frequently extends deeply into the heartwood. Almost all larval feeding activity occurs in the lower trunk, particularly around the soil line. Lower scaffold limbs may also be attacked and infestations may extend about 10 feet up the trunk. Feeding damage can often be found in the mid and upper crown of trees above areas that were treated with contact insecticides. External evidence of lilac/ash borer activity in trees can include irregularly round exit holes of about 1/4-inch diameter on trunks. As larvae near full-development some sawdust may be expelled from these holes and, when adults emerge, the pupal skin often remains extruded from the hole. Ash trees heavily damaged by lilac/ash borer often show some disfiguring of the trunk, with areas of irregular, gnarled growth, and often development of excessive branching. Extensive tunneling of the lower trunk may seriously weaken plants and cause them to break. Trees may be killed by this insect, although that is rare. High-risk ash trees may benefit from control of lilac/ash borer. These could include recently transplanted trees, trees in poor sites, trees receiving limited water, or trees that show significant effects of previous damage. Activities that can relieve tree stresses, such as provision of supplementary watering, should be considered part of any program for lilac/ash borer control. Treatments involve use of insecticides applied to the bark in a preventive manner to kill larvae before they enter the trunk. Trunk sprays should be applied shortly before or coincide with the anticipated time of egg hatch. This occurs about 10-14 days after adults begin to emerge from trees, typically sometime between in mid-April and mid-May. ​Emerald Ash Borer - The most serious pest of ash in North America is the emerald ash borer. The emerald ash borer is an Asian insect that is not native to North America, but was accidentally introduced into the US and first found in the Detroit area in 2002. Since then emerald ash borer has devastated all North American species of ash--including the green ash and white ash grown commonly in Colorado—killing tens of millions of trees. As of 2013 it had extended into 22 states and was first found in Colorado in September 2013. Presently the infestation of this insect within the state is thought to be confined to Boulder but it is expected to spread over the next decade to include much of northeast Colorado. Emerald ash borer is a very different insect than is lilac/ash borer and is far more damaging to ash trees. The pattern of injury that it produces is different. Information on ash borer in Colorado is available through county offices of CSU Extension, Colorado State Forest Service offices and the Colorado Department of Agriculture website: www.eabcolorado.com. The TrailMark HOA is requesting that all property owners take preventive steps in treating their ash trees. Those who do not take preventative measures run the risk of losing not only their own mature ash tees but also exposing their neighbors’ trees, common area trees and trees in our parks and open space. TrailMark Concert Series - "Coverado"
Food Truck Thursday - LAST ONE OF THE SUMMER! Thursday, August 17th, 5:30-8:00 pm, South Field Way near TrailMark Park - A variety of savory and sweet food trucks will be joining our community for purchase. Truck selections will vary. Please bring a picnic blanket or chairs, and your appetite! Trucks that are scheduled to be here* BAREFOOT BBQ, THE PIKINE GRILL, KONA ICE, FASHIONS UNDERGROUND *Truck selection can change at the last minute. ​As we start a new school year, we would like to remind residents that when the school bus lights are flashing ​RED, drivers must stop from every direction. Colorado law states: ​"You must stop your vehicle at least 20 feet before reaching a school bus that is stopped with its red lights flashing whether it is on your side of the road, the opposite side of the road, or at an intersection you are approaching. You must remain stopped until the flashing red lights are no longer operating. Watch carefully for children near the school bus and children crossing the roadway before proceeding." We recently posted on the TrailMark HOA Facebook page asking about the community's desire for visually low-impacting outdoor recreational equipment. This is only a discussion at this time, although we have run it by SSPR to determine that it is in fact a possibility in our parks if we choose to do so. We have also learned that there are grants available from the City of Littleton and SSPR, so the funding would not necessarily come in full or even part from the HOA (all details of project are TBD). We need to know if TrailMark residents are interested in outdoor rec equipment and if any residents are willing to join a committee to help the project move forward. Please give your opinion in the poll below. If you've already joined the poll on the HOA Facebook page, please disregard this one. Yes, I would be interested in a few select pieces of outdoor recreational equipment placed in our parks (all details TBD). No, I am not interested in any outdoor recreational equipment added to the parks at this time. One opinion per adult. No more than two adults per household, please. I am interested in joining the panel. Saturday, August 5th, 6:30-8:30 pm at Pirate's Cove Water Park, 1225 W Belleview Ave, Littleton. $3 per person. CASH Only. TrailMark is renting out Pirate's Cove, so please come join your neighbors for poolside fun! Concessions will be open for sale, but you can also bring your own food. Glass and alcohol not permitted. $3 per person, children under 3 are free. http://www.piratescovecolorado.com/ Any volunteers to help with ticket sales, please email the social committee at social@trailmarkhoa.org. ​Thursday, August 3rd, 5:30-8:00 pm at South Field Way near TrailMark Park - A variety of savory and sweet food trucks will be joining our community for purchase. Truck selections will vary. Please bring a picnic blanket or chairs, and your appetite! Trucks that are scheduled to be here* HEY PB&J, ROLL IT UP SUSHI, HCP MEAT COMPANY, HAPPY CONES, EVEY K FASHIONLINER. ​*Truck selection can change at the last minute. The HOA is currently addressing many topics that the community have expressed are important: The HOA has offered community members the opportunity to execute two projects. The first project is a “little library” and the second is the addition of recreational equipment. Both projects have been discussed with South Suburban and they are willing to listen to ideas. At this point, any community member interested in taking part in a committee to finalize and maintain these projects should let the Board know or attend a board meeting to hear the latest updates! The board has started the process, and it's up to community to initiate the work and see it through to completion! The HOA Board is also considering a few policy changes. The use of Social Media, Community Signage and Committee Regulations are just a few. The Board is working hard to make the TrailMark community an efficient operation and positive neighborhood in which to reside. The Board is also working on a document explaining the areas of responsibility for the Board, South Suburban, the Metro District, residents, etc. This will outline the roles of each party in the community. Be on the lookout for this over the next few months. Your Design Review Committee has been very busy considering home improvement requests. It is important to remember that all exterior projects must receive approval before starting the work. All information needed can be found on the TrailMark website: www.trailmark.org. The paint colors can also be found on the website, under the Documents and Forms page, or you can submit a request to the management company to review the paint books which have actual paint chips of approved colors. The website is a great reference for all Design Review questions! Neighborhood block parties are a great opportunity to get out and meet your neighborhood families. The Littleton Community Development Office announced that they are still taking block grant requests which provides funding for neighborhood parties. The funding is first come, first served so if you are interested in having a block party, submit your application for a Community Grant at the city's website https://www.littletongov.org/my-littleton/neighborhood-resources. ​Patrick McClammer, member at large, has resigned from his position on the HOA Board effective July 2017. The HOA Board is taking nominations for his replacement from now until August 8th. The Board will officially appoint a replacement at the HOA Board Meeting on August 10th. The duration of that position on the Board is from August 2017 to November 2018. All nominations should be emailed to board@trailmarkhoa.org. Please click here to view and print the nomination form. ​We've received reports of mischief around the neighborhood - ringing doorbells and dashing off; shutting off power to homes; swimming in the pond, etc. Although it may seem harmless to those who are doing it, there is the potential for negative consequences. We all value the quality of our community. Be aware of your safety and the safety of those around you. If you have children, please talk with them about the potential ramifications of these actions and encourage them to be a positive member of our community and neighborly. During the past month, some young people were seen swimming in Fairview Reservoir. Not only is swimming not allowed in any of TrailMark’s ponds, but it is also dangerous - not to mention unhealthy. Ice skating and boating are also not permitted on the ponds, with the exception of South Suburban Parks & Recreation and the contractors who maintain the ponds. Fishing from the shore is allowed with a state-issued fishing license. The water system in TrailMark was developed in conjunction with the Denver Botanic Gardens, Army Corp of Engineers, City of Littleton, and entities having water rights in the creek that feeds into Fairview #1. The water quality requirements in TrailMark must be maintained not only for those entities but also for the esthetics of those enjoying the ponds. The TMMD contracts with Aquatic Associates to maintain the water quality and when crews arrive, they aren’t sure what treatment is necessary until they see/test the water. Some of the products necessary for treatment are not approved for human contact so increased water activity could hinder the ability to effectively treat the ponds as needed. Also, increased activity on the banks/shore could damage the pond’s aeration system and erode the bank stabilization efforts done over the years. When South Suburban took over the parks and trails from the TMMD, they also gained the land surrounding the water meaning SSPRD controls and limits vehicle access and therefore the transporting of water vehicles to the pond. Certainly the TMMD’s utmost concern is public safety. There is currently no scheduled supervision of the pond’s use and signage reminds the public not to enter the water. Increasing uses could also result in unfortunate mishaps. Bears are visiting our neighborhood again! Please be vigilant! Keep your garbage cans locked up inside until the morning of garbage day. Repeat “visitors” may have to be put down by the city and we wouldn’t want that! We are in mid-summer and bushes and trees are looking good. South Suburban and Mountain High Lawn and Landscape mowed all the common areas along TM Pkwy at about the same time this year. The tall grasses on the North side of the parkway are getting tall and marking a distinction between native grasses and bluegrasses just as the original landscape architect intended. We are going to begin improving two of the medians that look very barren right now. This is an ongoing project that will eventually include all the medians that do not have plantings already. Our goal is to add some interest, some color and not impair the sight lines for safety. It is always a challenge to keep the lawn green and be wise about water usage. It was a tough winter for many grassy areas, so be patient and understand that we do live in a relatively arid area and cannot expect golf-course green. There is a survey on the HOA’s Facebook page about the potential of placing some fitness stations along some of our trails. The survey is to judge the level of interest only but does not discuss the details of how the equipment will be funded, who will maintain it nor the potential impacts to the community. Let’s hear from all of you. We’ll see you at the Concerts in the Park or at the Food Truck Thursdays. Jefferson County’s Fire Stages - It’s good to know the difference. (Content originally posted on the TrailMark.org website in 2015) The HOA Board was asked to publish the traffic rules regarding crosswalk safety. While most everyone already knows them, please take a moment to read them and re-familiarize yourself with the laws. We highlighted in green those portions that we felt were most applicable to crosswalk safety. Please keep in mind that the HOA does not enforce traffic laws. If you are almost hit by a moving vehicle, please call law enforcement and report it. Parents, we ask that you please share the pedestrian responsibilities with your children, especially the highlighted portions. During the summer months especially, more children are outside, riding bikes, going to the park, and going to friends’ houses. Let’s all do our part to keep everyone safe. Thanks! DATA BELOW IS PER THE COLORADO DRIVERS HANDBOOK, 2015 ONLINE EDITION. 10.2 Right Of Way Where vehicles or pedestrians meet one another, and there are no signs or signals to regulate traffic, there are rules that say who must yield the right-of-way. These rules tell drivers who goes first and who must wait in different traffic situations. The law states who must yield the right-of-way; it does not give anyone the right-of-way, even if your traffic signal is green. You must do everything you can to prevent striking a pedestrian or another vehicle, regardless of the circumstances. When driving, you should yield the right-of-way to pedestrians under all conditions. Be particularly watchful for children, elderly and blind persons. Most blind persons are easily recognized by the white cane they carry and/or by their guide dog. Pedestrians have the right-of-way at all intersections and crosswalks. Drivers must come to a complete stop and let the person pass safely. 15. Pedestrians • Pedestrians are those people standing, walking or using a wheelchair on public streets, highways, and private property. • As a pedestrian, you should avoid walking on the traveled portion of a road. When there is no sidewalk, you should walk on the outside of a curb or painted edge strip, if either exists. • When walking along a road, you should walk on the side facing traffic. • When vision is poor, such as at night, make yourself more visible by wearing light-colored clothing, a white cloth tied around your arm, or some reflective material. • You have the right-of-way at crosswalks and intersections whether the crosswalks are marked or not. However, you should always watch for vehicles. If there is an accident you are the one who will suffer. • Never walk across a freeway or expressway. • Do not leave the curb or sidewalk so suddenly that an approaching vehicle cannot yield. • Look for 'Walk' and 'Don’t Walk' signals at intersections. August 1st is National Night Out. Get outdoors! Meet your neighbors! TrailMark Concert Series - "Way Down Wanderers"
​Patrick McClammer, member at large, has resigned from his position on the HOA Board effective July 2017. The HOA Board is taking nominations for his replacement from now until August 4th. The Board will officially appoint a replacement at the HOA Board Meeting on August 10th. The duration of that position on the Board is from August 2017 to November 2018. All nominations should be emailed to board@trailmarkhoa.org. Please click here to view and print the nomination form. ​Thursday, July 20th, 5:30-8:00 pm, South Field Way near TrailMark Park. A variety of savory and sweet food trucks will be joining our community for purchase. Truck selections will vary. Please bring a picnic blanket or chairs, and your appetite! Trucks that are scheduled to be here* OL' SKOOL QUE http://olskoolque.com/, PIKINE GRILL http://thepikinegrillfoodtruck.com/, TONY GUACAMOLE https://roaminghunger.com/tony-guacamole/, SWEET RIDE BAKESHOP https://www.sweetridebakeshop.com/, CIRCUS BOUTIQUE. *Truck selection can change at the last minute. TrailMark Concert Series - "SHEL"
​Thursday, July 6, 5:30-8:00pm, South Field Way near TrailMark Park - A variety of savory and sweet food trucks will be joining our community for purchase. Truck selections will vary. Please bring a picnic blanket or chairs, and your appetite! ​FOOD TRUCK THURSDAY - GOING ON NOW! ​Tuesday, July 4th, 10:00 am at TrailMark Park (playground) - Dress up your bikes, wagons and scooters for the Annual TrailMark July 4th Bike Parade! Be sure to stay afterward and enjoy the fun at TrailMark Park (playground) including popsicles, face painting, bounce houses, plus coffee and donuts for the adults! Volunteers Needed - Please contact the social committee at social@TrailMarkhoa.org. Littleton Regulations state that ALL PERSONAL FIREWORKS, INCLUDING SPARKLERS, ARE ILLEGAL IN LITTLETON. In many board meetings over the last year, the HOA has discussed the possibility of installing low visually-impacting outdoor recreational equipment in strategic areas in either TrailMark Park and/or Hogback Hill Park (see example image of such equipment, from Centennial Park in Englewood). We need a group of volunteers interested in spearheading this to completion. Volunteers will research and present ideas to the board for final approval, write grant requests to fund this project, work with SSPR to design placement of the equipment, select the equipment, and oversee implementation of the equipment. If you are for or against having outdoor exercise equipment in TrailMark, please let us know on our Facebook page. If you are interested in joining a committee, please email the HOA board at board@trailmarkhoa.org. http://www.trailmark.org/hoa-documents-amp-forms.html. The contact information for the Property Manager and Covenant Compliance can also be found on the website. Please feel free to contact either Angie or Susie should you need anything. ​​As a reminder, HOA Assessments are due July 1st. If you have any questions, please contact Angie Kelly at Community Resource Services, 303-381-4980. The TMMD has rescheduled this month's meeting from July 18 to July 25th. ​The July HOA board meeting has been cancelled and rescheduled for August 10th. The September HOA board meeting has been postponed to September 21st. ​Saturday, June 24th, 8:30am at TrailMark Park. Please join your neighbors in helping to pick up trash around the neighborhood to keep TrailMark beautiful. Last year, neighbors collected 21 bags of trash! The HOA will provide donuts, coffee, juice, gloves and trash bags. They ask that you please take home the trash bag of what you collected so the full trash burden doesn't fall on a few volunteers. PLEASE READ! SAFETY NOTICE REGARDING TRAILMARK PKWY AND WADSWORTH INTERSECTION! We received an official answer from CDOT regarding the recent changes at the TrailMark Parkway and Wadsworth Blvd intersection. Please see below: Q: Does traffic turning right onto Trailmark Parkway have to stop when the light is red but the intersection is clear, e.g., no vehicle is making a u-turn from eastbound Trailmark Pkwy and there are not pedestrians crossing? A: YES, vehicles have to stop/yield and proceed if the intersection is clear. We do have this situation throughout the state and we haven't seen any issue so far. If and when we see a safety concern at any intersection we will place a sign stating "NO TURN ON RED". Per state statue CRS 42-4-604(1)(c)(I)(A) (c) Steady red indication: (I) Vehicular traffic facing a steady circular red signal alone shall stop at a clearly marked stop line but, if none, before entering the crosswalk on the near side of the intersection or, if none, then before entering the intersection and shall remain standing until an indication to proceed is shown; except that: (A) Such vehicular traffic, after coming to a stop and yielding the right-of-way to pedestrians lawfully within an adjacent crosswalk and to other traffic lawfully using the intersection, may make a right turn, unless state or local road authorities within their respective jurisdictions have by ordinance or resolution prohibited any such right turn and have erected an official sign at each intersection where such right turn is prohibited. The transition to Community Resource Services (CRS) as the management company for TrailMark Homeowners Association is in full swing. CRS has been working to catch up any unresolved Board of Director concerns as well as homeowner concerns. Please contact CRS should you have any questions about the transition or the Association. Also, please be sure to follow updated instructions on all forms and contact information, as posted on the HOA website - http://www.trailmark.org/. Specifically, please note submittal information on the DRC consideration forms - http://www.trailmark.org/hoa-documents-amp-forms.html. To ensure a timely response, please submit applications to the correct email address. Of the utmost importance will be the future assessment payments. Please dispose of any coupon book you have regarding assessment payments. For the remainder of 2017, invoices will be mailed to homeowners when assessments are due. Coupon books will be printed and distributed again for the 2018 calendar year. In addition, the bank in which ACH payments were being sent has cancelled the TrailMark Homeowners Association account. Unfortunately, this means that any homeowner wishing to pay the quarterly dues by ACH will need to resubmit the form. Please be sure to submit this information as quickly as possible to ensure proper time to process before the next assessment payment is due. The form can be downloaded from the TrailMark website. A letter was mailed to all homeowners on April 28, 2017 introducing CRS. If you did not receive the letter and need information, please call CRS or review the TrailMark website. With the change of the management company came the addition of a covenant compliance company for the Association. Covenant enforcement has been a concern of many residents and the Board took action to remedy these issues. Community Preservation Specialists (CPS) has been hired to ensure covenant compliance is upheld and that the community continues to look as tremendous as it does today. The contact information for the Property Manager and Covenant Compliance can also be found on the website. Please feel free to contact either Angie or Susie should you need anything. Please take note that the meeting date for September has changed due to scheduling conflicts. The September HOA Board meeting will now be held on September 21, 2017 at 7pm. The meeting will still take place at the Fire Station. ​Thursday, June 1, 5:30-8:00pm, South Field Way near TrailMark Park - A variety of savory and sweet food trucks will be joining our community for purchase. Truck selections will vary. Please bring a picnic blanket or chairs, and your appetite! Thursday, May 11th, 7:00pm, Fire Station 19, 8490 W TrailMark Pkwy, Meeting Agenda, All are welcome. ​Thursday, May 4, 5:30-8:00pm, South Field Way near TrailMark Park - A variety of savory and sweet food trucks will be joining our community for purchase. Truck selections will vary. Please bring a picnic blanket or chairs, and your appetite! Food Truck Thursday is back for 2017! Mark your calendars for these fun neighborhood events this summer. All events are located at TrailMark Park and are from 5:30pm to 8:00pm. Dates are May 4, May 18, June 1, June 15, July 20, August 3, and August 17. As a reminder, Homeowners on open space properties are responsible for painting the interior side of the perimeter fence. To maintain consistency, the Sherwin Williams paint formula for TrailMark-Fawn is provided below. You may get this paint mixed at only Sherwin Williams stores. As an added reminder, the HOA has established a TrailMark account allowing residents/homeowners to receive a paint and stain product discount. Identify yourself as a TrailMark resident and provide the following account number: 230805194 to receive your discount. The HOA is pleased to advise the community that the perimeter painting for Filing 3 and Star Canyon has been completed. In response to several complaints, the contractor is conducting an inspection to ensure that all areas have been cleaned up of any painting debris. The HOA would like to remind residents that the speed limit on TrailMark Parkway is 30 mph. All residential side streets are 25 unless otherwise marked. Colorado Department of Transportation plans to make a few changes to the right turn lane on Wadsworth, heading south, for the turn into the TrailMark neighborhood. Currently, there is a painted white stop bar that tells cars to stop prior to turning right into the neighborhood. However, this is not necessary since there is a two lane entrance into TrailMark for those turning in from the northbound lane of Wadsworth. CDOT will remove this stop bar, and stripe in the track to allow southbound traffic on Wadsworth to turn into TrailMark without stopping. They will also install a no U-turn sign for people coming out of TrailMark to avoid turning conflicts. Once those changes are implemented, CDOT will watch to see if additional signage may be needed. CDOT should implement the changes within the month, weather permitting. A resident's dog got bitten in the face by a rattlesnake while walking in open space on the north side of TrailMark (Hildebrand Ranch). Here is a link to some tips on avoiding a rattlesnake attack, from Denver's Channel 7. ​Saturday, April 15th, 9:00 am at Hogback Hill Park. Free coffee and chicken biscuits from Chick-fil-A. All ages welcome. TrailMark Homeowners and Residents – After a number of years under the management of Colorado Management and Associates, Inc., the HOA Board decided, as a matter of due diligence, to conduct a bid solicitation for our community management. We received a number of competing bids and completed an analysis of those bids, looking for cost-effective, customized management for TrailMark. The HOA Board is pleased to announce the selection of Community Resource Services of Colorado (CRS) as our new management company. CRS brings a wealth of experience that we are confident will enhance TrailMark’s management and experience for all homeowners and residents. The transition to CRS is in progress with a projected completion date of April 17, 2017. In addition, our HOA boards have been challenged over the years with covenant compliance and enforcement. We decided to explore contracting with a company that focuses on these challenges, to help us bring about needed changes throughout TrailMark, to maintain a consistent, quality, aesthetic appearance throughout. To that end, we are pleased to announce the selection of Community Preservation Specialists (CPS) to fulfill this role. They come highly recommended by other client communities. As with CRS, the transition to CPS is in progress, also with the same completion date of April 17, 2017. As the transition moves forward we will advise you of upcoming changes to our processes and requirements. You will see changes to your website with new contact information to ensure your issues and concerns are quickly addressed. The HOA Board is confident that both companies will provide TrailMark with the management approaches best suited to all homeowners and residents through teamwork, communications, and quality of service. Keep on the lookout for information as we move through the transition. The HOA Board would also like to thank Colorado Management for their years of support and management of TrailMark, and wish them continued success. Beginning in April, the TrailMark Metro District will be painting the exterior of the perimeter fencing in Filing 3 and Star Canyon (area outlined in pink on map below). Fences will be scraped and painted by employees of Gantner Painting. A notice will be left at the affected homes the week prior to your scheduled painting. A Gantner employee will need to enter your back yard in order to shield your yard while paint is applied to the exterior side of the fence. This will take approximately one hour per yard. The interior side of the fence will not be painted as it is the responsibility of the home owner or applicable Star Canyon HOA. Please contact TMMD management at 303-381-4960 with any questions. A memo from Aaron Heumann, Transportation Engineer at City of Littleton - Please thank all of the TrailMark residents who have been involved with and shown an interest in the evaluation of traffic safety concerns expressed in the vicinity of the Holland Street and Finland Drive intersection. Also, please convey to the residents you have been in contact with that the TrailMark Board and city staff have cooperatively determined no modifications to the surrounding roadway configuration or change in traffic control for this intersection is appropriate at this time. As you are aware, the city collected traffic information in the form of geometric configurations, traffic counts, speed data and accident history for the area. Even though the data suggested there were no qualifying safety concerns based on the city's current “Neighborhood Traffic Management Program” guidelines, staff worked with the Board and area residents to identify and evaluate potential mitigation measures to address the perceived conflicts and safety issues in the area. However, after further discussions with the HOA Board and immediate adjacent residents who would be directly impacted by any modifications, a joint decision was made not to install any signs or traffic calming devices at this time. Instead, the city will perform periodic reviews of the traffic conditions to determine if the traffic patterns and behavior has changed that would indicate a safety or calming response is necessary. In addition, the acting city manager will meet with the Chief of Police to discuss an increased presence of law enforcement patrol to issue citations to any violators in the area. Please indicate to the residents that if they have any immediate apprehensions with this direction, they should contact their HOA Board to express their concerns. Otherwise, if they witness any troubling behavior or safety concerns in the future, to notify one of their HOA Board members to document and convey to city staff for consideration in subsequent evaluations. ​Would you like to get in on the discounted rate for the Colorado State Parks pass? TrailMark resident Deahna Visscher is generously organizing this deal for TrailMark. Please send your payment with a self-addressed stamped envelope to Deahna at 9831 S. Flower Ct, Littleton, CO 80127. Make checks payable to Deahna Visscher. Payment of $49, a self-addressed stamped envelope, and your license plate number MUST BE RECEIVED by April 7, 2017. No late payments or incomplete orders will be accepted. The passes will be mailed to you before or around May 1, 2017 in the self addressed stamped envelope you provide. Here are a couple of things to note about the passes: 1. The pass will be valid from 05/01/2017 to 5/31/2018. 2. The part of the pass you peel off of the sticker is your “receipt”. Please complete the information on the receipt and hold onto it. 3. You can buy a second pass for another vehicle in your household for $35.00 - but not through Deahna. Bring the receipt for your first pass and the registration for the second vehicle with you to any park entrance. 4. The Colorado Parks and Wildlife recommend also noting (or taking a picture of) the 9 digit number on the back of the pass starting with 102-XXXXXX. This number would be needed if you need a new pass if a car was stolen, or if you need to have your windshield replaced etc. Replacement passes are about $5. 5. The sticker affixes on the inside of your dashboard on the passenger side. 6. You still have to pay the normal fee at the gate for the dog park pass for Chatfield and/or Cherry Creek reservoirs. 7. For more information on the Colorado State Park Rules and Regulations, see http://cpw.state.co.us/buyapply/Pages/ParksPassInfo.aspx 8. Get out there and enjoy our BEAUTIFUL state. (Content originally published in the May 2016 newsletter) With spring around the corner, the Design Review Committee (DRC) asks homeowners to take a look at your wing fences and perimeter fences. TrailMark fences include: Wing fences: Fences installed on both sides of the house, facing the street. Homeowner responsibility. Perimeter fences: Fences following the property lines that divide properties. These generally run from the wing fence down the sides of the property and across the back of the lot. Not all properties have side fences, however, these fences are the homeowners responsibility. Open space fences: Fences placed along designated open space. Only the inner side of these fences is the responsibility of the homeowner. The HOA maintains the side facing the open space. ​​As a reminder, HOA Assessments are due April 1st. If you have any questions, please contact Lori Williams at Colorado Management, 303-730-2200, ext. 3134. Our first ice skating event is coming up next month, at The Edge Ice Arena on the evening of March 11th! The Social Committee needs 2-3 volunteers to help at the check-in table from 6-8 pm. If interested, please email the Social Committee at social@trailmarkhoa.org. Thank you all! Saturday, March 11th, 6:30pm-8:30pm, The Edge Ice Arena​, 6623 S Ward St. The Social Committee has an exciting new event! Come join us for an evening of ice skating. Concession stands will be open. Cost is $3 per person for age 3+, cash only. 2-3 volunteers are needed to help at the check-in table. If interested, please email the Social Committee at social@trailmarkhoa.org. TrailMark Food Truck Thursday is back for 2017! ​Mark your calendars for these fun neighborhood events this summer. All events are located at TrailMark Park and are from 5:30pm to 8:00pm. Dates are: May 4, May 18, June 1, June 15, July 20, August 3, and August 17. ​REMINDER: Several homeowners received notices last year for exterior painting. The due date for completion of these projects is generally spring 2017. If you have not received approval for your color selection, get your request submitted now to enable you to meet the spring deadline. Covenant control is on-going and exterior painting will be noted. Get ahead of the game and get your colors selected and a request submitted for review. The DRC has paint books available that detail TrailMark’s original color combinations. Contact the management company to request the paint books. 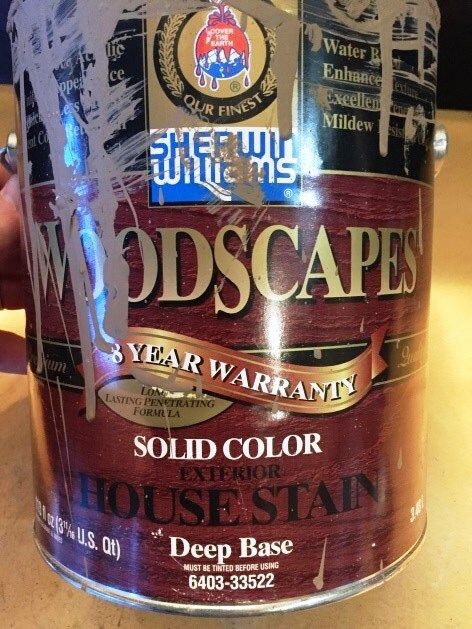 The Board has established a TrailMark Sherwin Williams account allowing residents to receive a paint and stain product discount. Generally, the discount is 15% depending on the product purchased. Identify yourself as a TrailMark resident and provide the following account number: 230805194. If the Sherwin Williams store you are using does not register this account number, they should call 303-932-1352 to confirm the account. Regardless of whether one selects an approved paint combination or creates a unique combination, ALL exterior painting projects require Design Review Committee approval prior to the start of painting. Many concrete surfaces throughout the community are in need of repair and/or replacement due to: Spalling - surface failing in which the concrete is flaked or pitted. Please remind our neighbors to keep their dogs on a leash. Our home backs to one of the paths and I have seen an increasing amount of people with their dogs running yards ahead of them or behind them. I understand that it is enjoyable for the people and the dogs to be free of a leash (I have 2 dogs). But, it concerns me that a hungry coyote or another dog could confront the people or the dogs. I know my dogs don't appreciate the off leash dogs at their fence line. ​Perhaps neighbors can go to the dog park at Chatfield instead of using our open space trails as a dog park. Winter was pretty quiet for the Common Area Committee, since there are not many landscaping activities. With the recent winds, you may have noticed some sections of fence have blown down. They are in the process of getting replaced if the weather cooperates. We have not heard of any complaints about snow not being removed on sidewalks etc., so we are assuming that things are good in the area as well. We have contracted with Swingle Arborist Company to do trimming of trees in a three year, three phase plan. Some trees need trimming in the dormant phase during the winter, and others during the full leafing season of late spring. The goal is to manage the appearance and health of all our trees in our maturing neighborhood. Also, during the spring you may notice a boat on Fairview Reservoir #1, or #2 or Pond G. We have Aquatics Associates, Inc. to manage our ponds and water quality which requires them to be in a boat on our ponds. Be aware that they are authorized to operate that way by our HOA and South Suburban, and no, you cannot take any boats or flotation devices into the ponds. Enjoy the peace and beauty of winter. This past month, kids were playing on the ice and a police report and fire report were filed. There are rule signs around the water warning to stay off the ice. The danger is real and it would be a tragedy to have someone or a pet harmed. Wednesday, January 25, 7:00pm at Fire Station 19, 8490 W Trailmark Pkwy. Agenda. Please note different day of the week and new time. All are welcome. Posted on the Alpine Waste & Recycling website... "For the week of Martin Luther King Jr. Day, we will be running all routes on their regular days." NEW for 2017! We’re excited to share a gift that keeps giving all year long! Now those who live in the TrailMark subdivision can enjoy resident benefits at two park and recreation districts. Effective Jan. 1, 2017, TrailMark subdivision residents who utilize Foothills Parks & Recreation facilities and programs will receive Foothills resident rates. The Board of Directors of South Suburban Park and Recreation District and Foothills Park & Recreation District have created a special arrangement for TrailMark subdivision residents to receive Foothills resident rates on admission fees, passes and classes. The arrangement is valid through Dec. 31, 2017 under the terms of the Intergovernmental Agreement. A Foothills I.D. Card is required to receive discounted fees for facility use. Obtain a free I.D. Card at Lilley Gulch Recreation Center, Ridge Recreation Center, or Peak Community & Wellness Center. For more information, visit www.ifoothills.org/trailmark. The agreement was made due to the unique location of the TrailMark subdivision and its proximity to Foothills Park & Recreation District facilities. TrailMark subdivision residents will continue to enjoy all the benefits of South Suburban Parks and Recreation. No delays due to the Holidays. ​Please be aware that the ice is never solid enough to support people or pets on the reservoirs in TrailMark. Please warn children of the dangers.